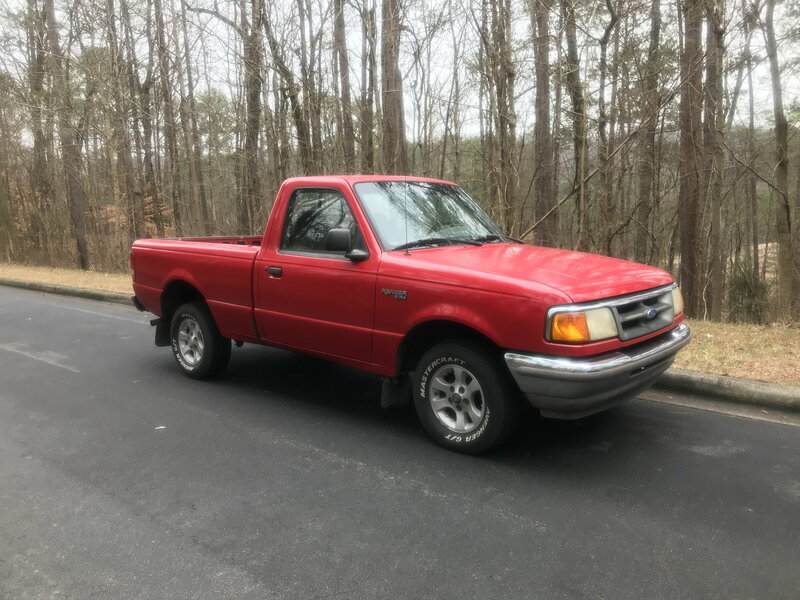 Just picked up a 1995 2.3 ranger. Don’t know much about the vehicle, it has new wires and plugs few other misc things. It was a work truck and commuter for an older gentleman. Truck runs and sounds solid, no apparent leaks. But has a few things that I’ll touch on as I learn more about it. I gave $800 for the truck and will be using it to drive back and forth 80 miles a day all highway miles. 258k Miles. Interior looks as you would expect but surprisingly better then I expected given the price. I enjoy learning about my vehicles and always join a forum when I purchase a different one. My other truck is an 06 Dodge 2500 MegaCab with the 5.9. Big difference! 1995 was first year Rangers got the new EEC-V OBD2 computers. So when doing Google searches, you can get some misinformation when just using "2.3l Ranger"
Better not to unplug and plug in coil packs with engine running, you can but its hard on the coils.